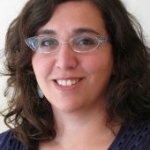 Alicia Blum-Ross reflects on ‘sharenting’ and blogging as increasingly accepted parts of parenthood, and the ramifications of such practices for children as they grow up. 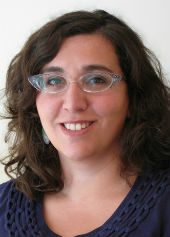 Alicia is a researcher at the LSE’s Department of Media and Communications. She is interested in youth media production and is part of the Parenting for a Digital Future research project. ‘Sharenting,’ is the slightly awkward term for when parents share photos and stories about their kids online, via social networks and blogs. Is it a form of ‘digital narcissism’? Or is ‘sharenting’ the easiest way of keeping in touch with friends and family, recording memories and seeking advice and support? In the case of parent bloggers, it may be all of the above while also building a personal or business brand. According to research from the Parent Zone on behalf of Nominet’s advice site Knowthenet.org.uk, the average parent will share their child’s image online nearly 1000 times by the time they are five years old. Based on a poll of 2000 UK parents, the report notes that while parents shared around 195 images per year of their children, they were not especially concerned about privacy settings or copyright. 46% of the parents surveyed had checked privacy settings on social networks ‘once or twice’ and another 17% had never checked at all. This is the tip of the iceberg for parent bloggers, one of the groups we are currently interviewing for our research on Parenting for a Digital Future. In my estimation, if a blogger posts two to three times per week and includes at least three images of their children per post, that is at least double the above figure – and if you include outlets like Instagram some bloggers are posting much, much more. While these numbers are striking, are they a problem? Parents, especially but not only bloggers, derive pleasure and benefit from posting photos and stories about their children online, not to mention a sub-set hope for the possibility of making an income from it. The reality is that parents do, increasingly, share photos and information about their children online, and as today’s ‘digital generation’ grows up (on- and off-line) and become parents themselves presumably these numbers may be likely to grow. 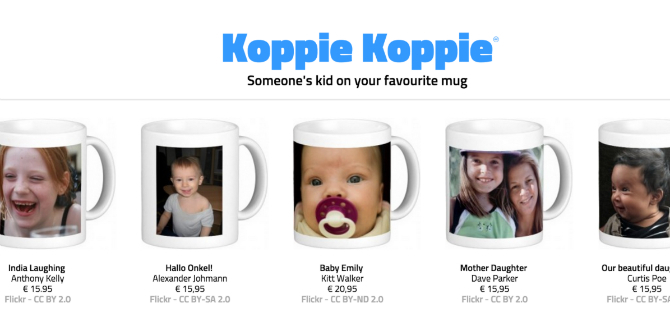 A Dutch ‘culture agency’ recently launched a semi-genuine business to sell mugs with pictures of other people’s children. Taking open-access images from Flickr, the organization sells the merchandise – unless a parent contacts them and asks for the image to be removed – as a way of calling attention to the fact that copyright, in a digital age, is hard to police. It isn’t always a question of legality – for instance when artist Richard Prince explored online ethics when he took enlarged screenshots of other people’s ‘borrowed’ Instagram feeds, and sold them for a lot of money. If you share anything online you have to consider the possibility that someone else may access it, and might use it in a way other than what you intended. As smartphone use rises even further, especially for taking pictures and social networking, many images have ‘meta-data’ that includes location details or other identifying information. As we wrote about previously, there are particular privacy issues for vulnerable young people, including those in foster care, but all parents might want to be mindful about how much they are unintentionally sharing. Is a ‘digital footprint’ permanent? A contributor to this blog recently wrote about ‘digital tattoos’ rather than ‘digital footprints,’ using the term to explore the possibility that children’s digital presence is more permanent than a mere indentation in the sand. While initiatives like iRights advocate that children and young people should have the ‘right to remove’ material that they put online before they were 18, this doesn’t include things parents have put online about their children. Some future-oriented parents worry about their children’s later prospects, and how digital traces might affect these, for example in being admitted to university. The Charting the Digital Lifespan research project invented a fictitious service called a ‘persona shield’ to ‘monitor and protect your online identity’ – surely the real version of this can’t be far away. While information posted online can have professional ramifications as kids grow older, some parents are more concerned about how their kids might feel about how they’ve been portrayed. One ‘mum blogger’ I interviewed told me how she stopped herself from publishing a funny blog post about the difficulties of baking biscuits with her three-year-old. She worried that if her daughter saw the post one day she might feel hurt that her mother’s narrative was not the same as the daughter’s (hopefully happy) memory. Other bloggers have told me how they find it difficult to figure out where the child’s ‘identity ends and yours begins’ and therefore whether what they post is theirs to share, or their children’s to keep. One blogger, who was more liberal in her ‘warts-and-all’ approach described hoping to instil enough ‘resilience’ in her children to mitigate against any possible future negative reactions. Clearly every parent has a different comfort threshold, but it’s good practice for both adults and young people to ‘think before you post,’ and try to anticipate what future audiences (whether your children or strangers) might make of what you’ve written. In and out of schools there are currently many efforts to encourage children and young people to be ‘good digital citizens’ who act with kindness, respect, and thought for others, seek out online opportunities but keep safety in mind. For parents like me who only started using emails, let alone social networks, in our late teens or twenties no such conversation existed in our youth. There are now a host of new etiquette questions like: is it OK to post pictures of other people’s children? How do you handle in-laws who may be liberally sprinkling images of your children on their own feeds? What about child-care providers? Or, how can you avoid disturbing others either by ‘over-sharenting’ (no one wants to end up on the tongue-in-cheek blog STFU, Parents) or making others unhappy by portraying an overly-perfect, Pinterest inspired, life? There’s no easy answer to these and other dilemmas of parenting in a digital age, but being intentional (possibly keeping a record for yourself, your children and others) about how, when and why you share is a good first step. As blogger Rebecca Woolf wrote recently, ‘there is great darkness as well as great light in this space.’ The parents we have interviewed experience significant benefits to sharing the good and bad of their parenting online. But they have serious concerns too. We can’t know now what this generation of children, whose lives have unfolded online both because of their actions and the actions of others, will make of our parenting practices. All I would recommend is for parents to consider is what they will tell their children when they ask them why they made these choices in the future. This post was translated into French, adapted and cross-posted on the blog Internet Sans Crainte. Wish this post had gone into the specific privacies afforded the different ways of sharenting. For example, what are the different privacies for a blog vs. a locked Instagram vs. a private Facebook account? What are each of their audiences? What is the reach of the imagery on each? What does this mean for the young people who’s images are loaded to each of these different platforms?